Summer is here! Our Mendoza collection offers bright prints and mellow hues to create a seamless transition in-between seasons by adding a new accent color to change the overall mood. I’m all about navy + pink at the moment, it’s a classic combo that gives sophistication to any space! 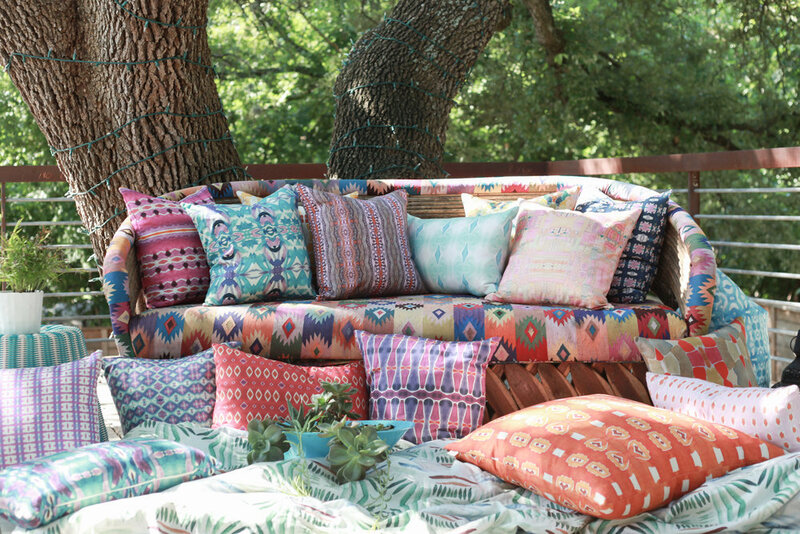 Pillows have a way of making a space feel complete and cozy! Mix and match to create a style that’s unique you!